The versatility of the American musician Gunther Schuller was recognized when he received the Alice M. Ditson Award from Columbia University in 1970: "You have already achieved distinction in six careers, as conductor, as composer, as horn virtuoso and orchestral musician, and as author and educator." Gunther Schuller was born in New York City on November 22, 1925, the son of a New York Philharmonic Orchestra violinist. He sang as a boy soprano in the St. Thomas Church choir, studied flute and French horn privately, and studied music theory at the Manhattan School of Music. Before he was 20, he was a professional hornist, playing in the Ballet Theater Orchestra and later with the Cincinnati Symphony. From 1945 to 1959 he played with the Metropolitan Opera Orchestra. color of the pictures with orchestral color, and in others, such as "The Twittering Machine," and the "Arab Village," he reflected the mood and atmosphere of the pictures in the music. There was a strong jazz influence in all of Schuller's compositions. The composer called the combination of jazz elements with serial practices "third stream" music, a term which has been generally adopted to describe this typically American musical development. During the 1960s Schuller received a number of grants that allowed him to devote himself entirely to composition. In 1965, as composer-in-residence in Berlin, Schuller completed his opera The Visitation, first produced in Hamburg in 1966. For his libretto the composer adapted Franz Kafka's story The Trial, changing the setting to the American South and the characters to African-Americans. Thus altered, it became a powerful and timely statement of the plight of black Americans. The music was in Schuller's "third stream" manner with much jazz. The Visitation, a sensational success in its first European productions, was less successful when produced in the United States. He subsequently wrote two more operas, The Fisherman and His Wife (1970) and A Question of Taste (1989). In 1968 Schuller published the first volume of his monumental history of jazz, proving himself to be the outstanding authority in this field. After teaching at Yale, he became president of the New England Conservatory in 1966, and a few years later, director of the Berkshire Music Center in Tanglewood as well (1970-1985). He was unrivaled among American musicians of his generation for the versatility and quality of his accomplishments. In 1993, Schuller received Down Beat magazine's prestigious Hall of Fame and Lifetime Achievement awards. During the 1990s, Schuller broadened his conducting repertoire and also published The Compleat Conductor (1997), a detailed analysis of eight symphonic works in which he compared the composer's written intentions with the actual recorded performances of those pieces over the last 50 years. 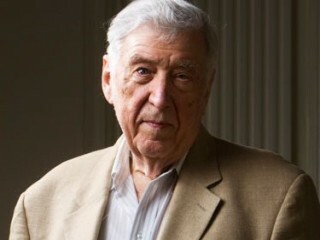 View the full website biography of Gunther Schuller.